In future, Hapag-Lloyd Cruises will offer parents a new service to facilitate carefree travelling with babies and toddlers – the Baby Welcome Package, which is free of charge. With the latter and select family cruises, the Hamburg-based cruise operator is taking into account the constantly rising proportion of families on its voyages. As of the four-day family introductory cruise “Sailing across the North Sea“ beginning on 20 July, a free Baby Welcome Package will be available for parents and young seafarers aboard the Europa. With this new service, Hapag-Lloyd Cruises is enhancing its offers for families, facilitating travel planning for parents and enabling them to travel to the cruise departure point without excess luggage due to baby items. The package includes care products such as nappies and washing lotion, changing mats for the cruise and bibs. 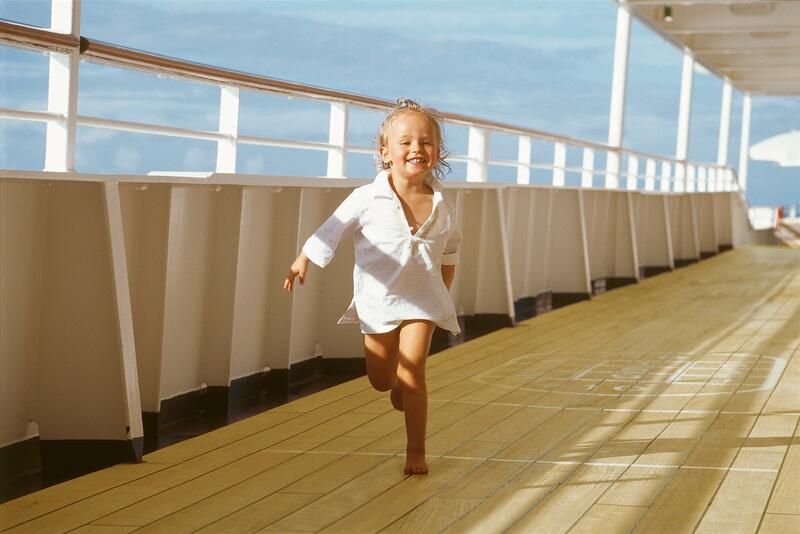 Every family can compile their personal Baby Welcome Package prior to the beginning of the cruise. By filling in a form, they can simply order items like nappies in the required size and quantity as well as the desired type of baby food, if preferred organically grown. The suite will also be furnished as requested, for instance with a babyphone, Maxi-Cosi, baby travel cot, high chair or bathtub for babies.On the Europa, children up to three years of age sharing a cabin with their (grand)parents travel at no cost; for children aged four to 15 is charged 65 Euros per night. Family cruises and cruises with at least four children on board include a special programme with meals, drinks and customised children’s excursions for the little cruise passengers. For bookings, enquiries or to request a brochure, please call Gay Scruton at The Cruise People Ltd in London on 020 7723 2450 or e-mail cruise@cruisepeople.co.uk.